Gallery Director, Jacob Twyford, will lead an informal tour of Waddington Custot’s current exhibition ‘Found in America: Chamberlain, Flavin, Indiana’. 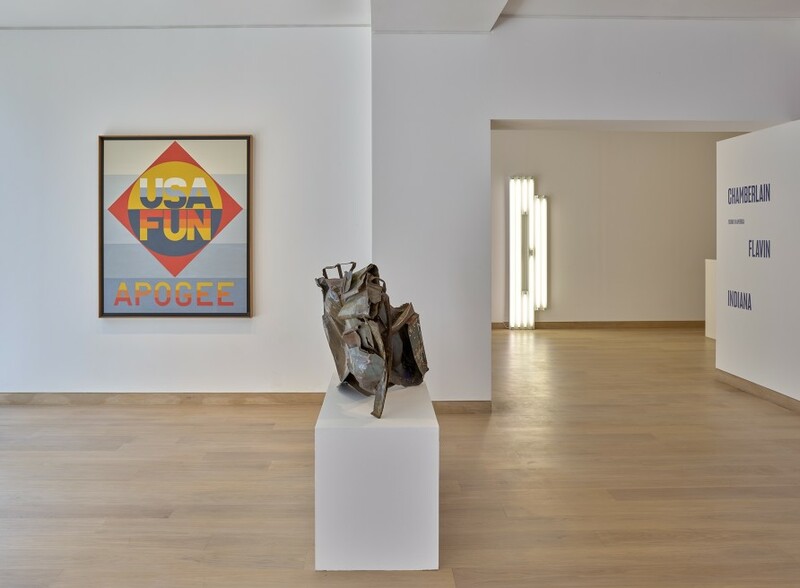 The exhibition examines the contribution John Chamberlain (1927–2011), Dan Flavin (1933–1996) and Robert Indiana (b.1928) have made to the development of sculpture in the twentieth century. Their parallels lie in the conscious use of found objects from an industrialised America, reflecting economics, consumerism and mechanisation. The three sculptors embraced these aspects of American society and revolutionised the concept of sculpture and sculpture-making. The exhibition continues until 1 July.